I am willing to bet that most of you will be surprised to discover that this is a memorial drinking fountain originally named the ‘General henry Hall Memorial Fountain’. 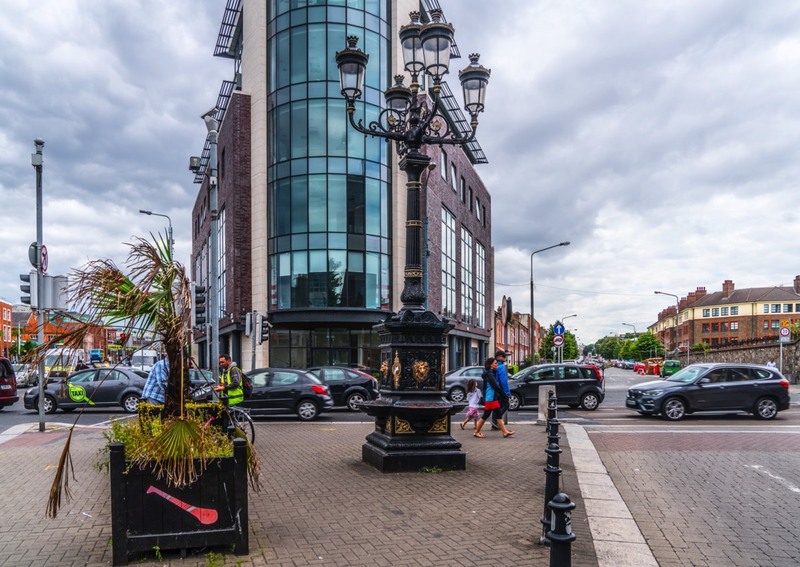 The Five Lamps is now described as a decorative lamp post with five lanterns, which stands at the junction of five streets - Portland Row, North Strand Road, Seville Place, Amiens Street and Killarney Street. There is/was an old saying in Dublin - “Do You Know The Five Lamps” and it would be a mistake to say yes in response. I think that it means shut up as you do not know what you are talking about. To be honest I have not heard this expression since I worked in the Docks back in the 1960s and at the time I had no idea as to what it meant. 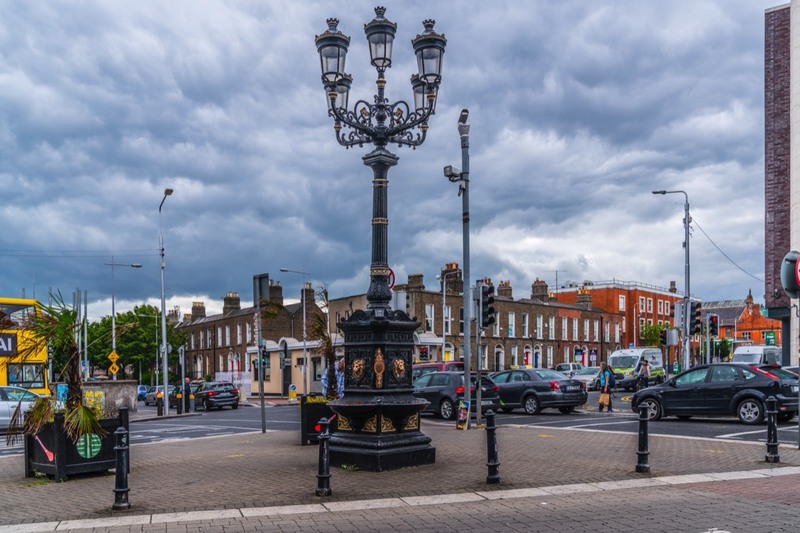 Back in the seventies, the Five Lamps was as synonymous to Dubliners as the three brass balls hanging outside a pawnbrokers shop. Local historians and tourist guides will tell you that it was built in 1880 to commemorate five major battles fought in India during the days of the British Empire … but not all believe this to be the case. Most living in the are claim that as it is at the junction of five streets there was one light for every one of the five streets and in a way that makes a lot of sense. In fact This structure was erected in 1875 courtesy of Lieutenant General Henry Hall C. B. of Merville House, Stillorgan, who served with the British Army and was superintendent of the Ajmer-Merwara region in India for 10 years. Upon his death, his will revealed a monetary bequest to be directed to the installation of two drinking fountains ‘to encourage sobriety’. 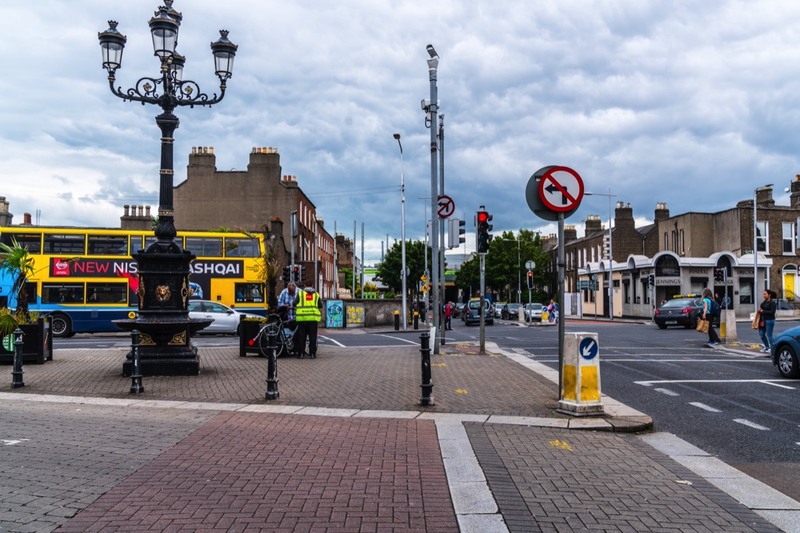 As was usually the case here in Dublin anything associated with the British Empire was neglected and unfortunately it rusted over decades, and at least two of the lamps went missing. To make things worse sign posts were attached. It was restored in 1987 as part of the Dublin Millennium. The lamps were removed for restoration by craftsmen, and 70-watt high pressure sodium lights were installed. Three missing lion heads were recast and the basins were filled in to prevent vandalism. The road signs which were mounted on the structure were removed.